If you want to make sure your baby shower gift doesn’t end up at the bottom of the pile, here is a step by step guide to finding the perfect gift. Adding a personal touch to a baby shower gift is a great idea as it will help yours stand out amongst those brought by other guests. There are many ways that you can make a gift more personal. If you have decided to buy baby clothing or a baby blanket, you could get the gift engraved or embroidered with the baby’s initials or name. There is nothing worse than turning up to a baby shower with the same gift as another guest. If you want to make sure that your gift is unique, put together a bespoke gift hamper that contains handpicked gifts. This is great as you get to pick out products not only for the baby but for the mum as well. The majority of people when shopping for baby shower gifts will pick a gift exclusively for the baby. Very few people get a gift for the mom to be. If you want your gift to stand out from the rest, choose a gift that the mother to be will love. Pamper gifts are always a great idea as are humorous gifts that will make the mom to be laugh. If you have an idea of the type of gift you would like to purchase but are unsure where to start, go online to find the best gift to complement your budget. You can shop from the comfort of your own home and get an amazing gift delivered to your door. If you are looking for gorgeous gifts for a baby shower, Amber Pumpkin Limited have a superior range for your perusal. Disclaimer: This is a featured guest post. Great ideas. I personally like to stick to the gift registry but add a cute toy or decorative item to the bow on the gift. Also if they are first time parents and I don't see certain items in their registry that I know they will need I would add that to something smaller from the list. 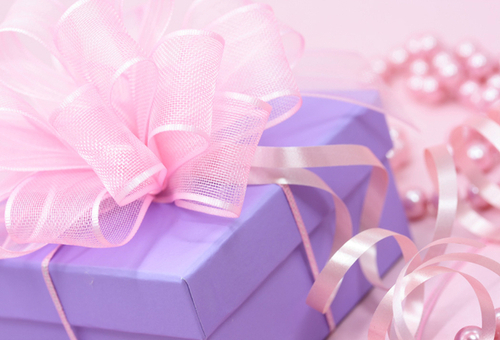 This is true that it is really confusing when it comes to choose a gift for baby shower. I would love to add some cute little things like a teddy or hand made crotchets for the baby. Choosing a gift for a baby is quite tough for new mothers as the baby doesn't show his or her taste & preference. Therefore new mothers are always taking expert advice to have a baby gift. In the above article we found some valuable description about how to choose a baby gift. I have one amber teething necklace for my youngest I've had it since he was an infant and it is by far the best money I ever spent. My son would scream his gums would swell and bleed when he was teething so I figured I'd try the necklace bcuz what could it hurt at that point. He is three now STILL wears that necklace and I have had zero issues with teething since about a week after I bought it. I haven't even known he was teething till I spotted the tooth coming in.